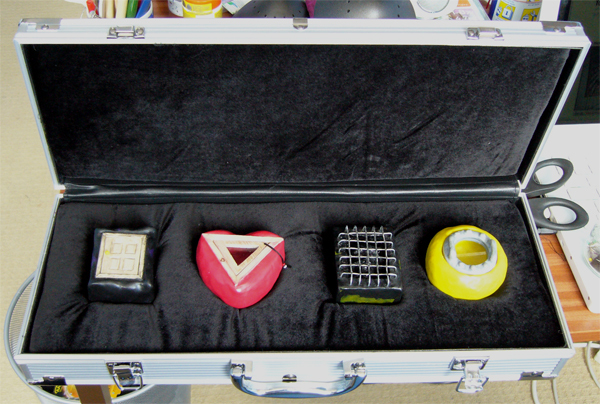 I went to Basingstoke Sofas to buy foam to line the case. I was really impressed by the cutting machine they had there, which is the same kind of machine that is used for cutting 100’s of layers of fabric at once in the fashion industry. Much as I coveted the machine I couldn’t help thinking that if I had one, it would only be a matter of time before I was heading off to casualty with my fingers in a seaside bucket! The foam only cost £3, which is a price tag any student would appreciate. From Fabricland I bought some steamed velour (yum, sounds like dinner!) in black and in sparkly purple. I love the purple but think I will use the black as it will go better with all the colours. 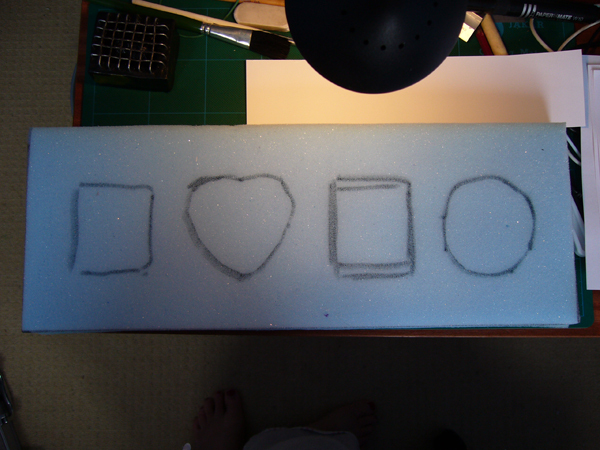 I cut cavities out of the foam for the four main objects. 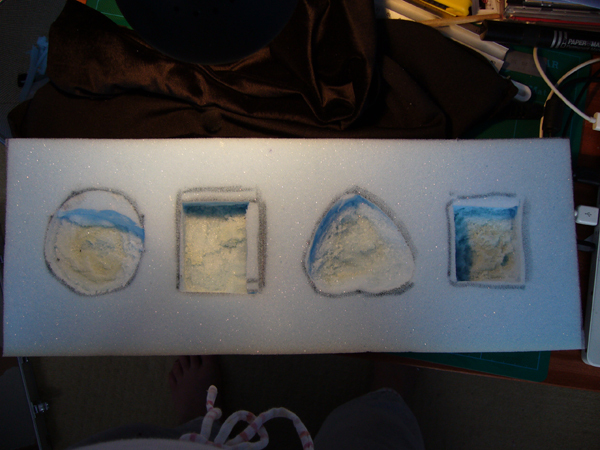 It was really difficult to cut the foam with a scalpel and I could see why these kind of trays would normally be moulded!! They did come out a bit lumpy.